CAPTURE CREATURES SC is the latest release from BOOM! Studios’ critically acclaimed KaBOOM! imprint, publisher of world-class licensed series such asSteven Universe, Adventure Time, Over the Garden Wall, Peanuts, and Garfield, along with original series like Brave Chef Brianna by Sam Sykes and Selina Espiritu, and The Deep by Tom Taylor and James Brouwer. KaBOOM! has been the home forAdventure Time comics since 2012 and has expanded into several limited series, original graphic novels, and a second ongoing series. 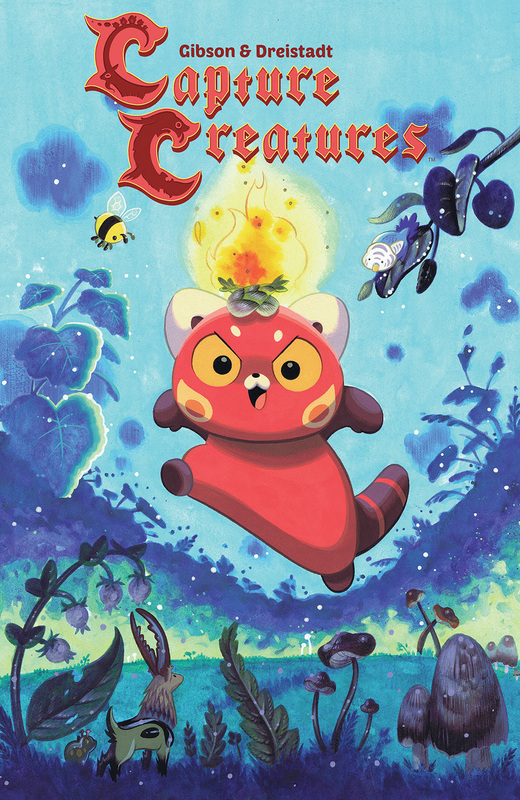 Print copies of CAPTURE CREATURES SC will be available for sale in February 2018 at local comic book shops (use comicshoplocator.com to find the nearest one) or at the BOOM! Studios webstore. Digital copies can be purchased from content providers, including comiXology, iBooks, Google Play, and the BOOM! Studios app. For continuing news on CAPTURE CREATURES SC and more from BOOM! Studios, stay tuned to www.boom-studios.com and follow @boomstudios on Twitter.